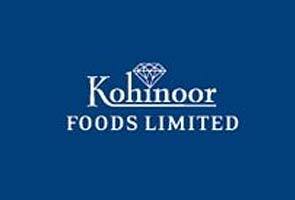 Rice exporter Kohinoor Foods (KFL) has reported a sharp jump in its net profit for the quarter ended September 30, on account of sale of part of its business. The company’s net profit for the second quarter of the current fiscal rose about 79 fold at Rs 212.33 crore as compared to Rs 2.69 crore for the quarter ended September 30, 2010. The company’s income from operations have increased by 10.47% to Rs 278.38 crore for the second quarter of 2011-12 from Rs 251.99 crore for the corresponding quarter of 2010-11.